Get bold girl-boss lashes with a volumizing mascara and a unique big shot mascara brush.Volum'e Express Colossal Big Shot Mascara by Maybelline is a volumizing mascara that gives you bold lashes in just one coat. 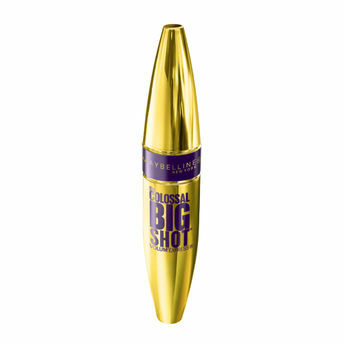 Lashes go powerful with Colossal Big Shot. The Big Shot brush features unique, wavy bristles that cradle lashes, while the collagen formula delivers bold volume. Available in 2 types - Waterproof and Washable. Explore the entire range of Mascara available on Nykaa. Shop more Maybelline New York products here.You can browse through the complete world of Maybelline New York Mascara .